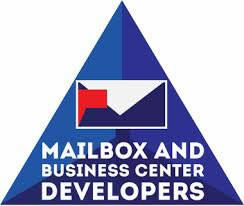 : Cost of Mailbox and Business Center Developers Franchise? How Much Does It Cost to Own a Mailbox and Business Center Developers' Franchise? Owning a Mailbox and Business Center Developers franchise can be a lucrative business, but it does have some initial financial requirements. To open a single franchise location, the company requires that potential franchisees have liquid assets of at least $50,000. Mailbox and Business Center Developers falls under the 'business opportunities', 'business services', 'low cost', 'multi unit and area developer', 'retail', 'veteran's' and 'women's' franchise categories. Across these multiple categories, it is further subcategorized under 'mail, packaging, & shipping', 'printing', 'sign' and 'self storage'. See how the investment level of Mailbox and Business Center Developers' compares to those of other available franchises. Does owning a Mailbox and Business Center Developers franchise sound like the correct business venture for you? Add this franchise to your cart and request free additional information about this business from the company, itself. These are the locations, inside the United States, where Mailbox and Business Center Developers is looking to expand its franchise. Mailbox and Business Center Developers is currently accepting inquiries from the following states: AK, AL, AR, AZ, CA, CO, CT, DC, DE, FL, GA, HI, IA, ID, IL, IN, KS, KY, LA, MA, MD, ME, MI, MN, MO, MS, MT, NC, ND, NE, NH, NJ, NM, NV, NY, OH, OK, OR, PA, RI, SC, SD, TN, TX, UT, VA, VT, WA, WI, WV, WY. As the fastest growing mail box store developer in North America, The Mail Box Stores' development specialists guide you step-by-step through the process of starting your own mailbox store business. Our simple turn-key program provides financing assistance, store development, training, and access to discounted products. Complete Turnkey Packages Starting At Only $77,900! Contact us today to find out about this exciting opportunity! Click here to get in contact with Mailbox and Business Center Developers and request free additional franchise information.